This just-released smartphone innovation from ASUS packs in even more heavyweight features, making it the perfect successor to last year’s best-selling ZenFone 5. Manila, Philippines (2 November, 2015) — The search for that elusive perfect mobile phone can be a long and challenging one, as every smartphone user would know. But if ASUS’ globally leading brand value and countless international and local awards this year alone is any indication of its prowess in product innovation, then one need not look far to finally find the smartphone attuned to his multi-hyphenated lifestyle. 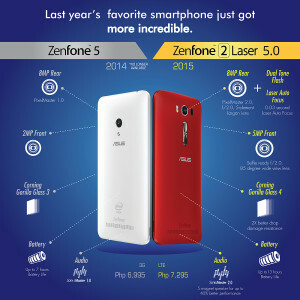 As one of its latest mobile unit offerings, ASUS successfully introduced the ZenFone 2 Laser 5.0 (ZE500KL), a smartphone that perfectly embodies the brand’s commitment to put extra premium on both user experience and innovation – what with its several unparalleled key features – while widely considering its value for money (SRP: PHP 7,295.00). 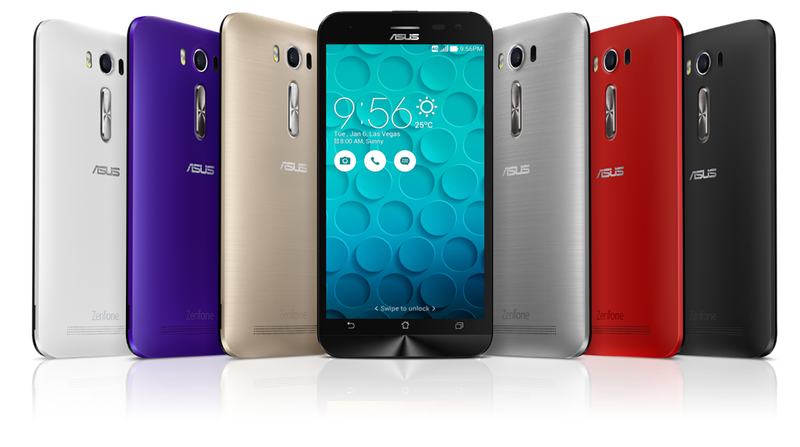 Undeniably, ASUS’ most notable mobile unit innovation during 2014 was the best-selling ZenFone 5 – a marvelous smartphone that stood out due to its then unmatched performance. But being the global powerhouse company that it is known to continuously push the envelope of product solutions, ASUS then soon after picked up from the success of the ZenFone 5, raising the bar this year even further by upgrading these features and just recently introducing the even more remarkable ZenFone 2 Laser 5.0 – now significantly equipped with features that one has never quite experienced in a smartphone before. ASUS ZenFone 2 Laser 5.0’s rear camera has laser autofocus technology for the fastest possible clarity. Its infrared laser measures distances at lightning speed – and that means near-instant focus as fast as only 0.03 seconds. Compared with traditional contrast focus, ZenFone 2 Laser is easily in the lead by up to 2X faster speed, wherein the infrared laser gets the most accurate distance of the object and the lens simply accelerates itself to the precise position for the imaging. The ZenFone 2 Laser‘s display comes with Corning Gorilla Glass 4 protection against accidental damages. This also makes ZenFone 2 Laser the only smartphone with the best screen protection at this price range. The Gorilla Glass 4 is much stronger than its third generation of Gorilla Glass 3 in many perspectives: its display offers twice (2X) the drop-damage resistance of its predecessor, a 2.5X increase in retained strength and is 85% less likely to break in daily use — making it safer and stronger than ever before. The ZenFone 2 Laser is the first phone in the price range to have an 8-megapixel camera on the back, guided with a laser auto-focus. 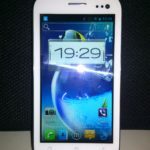 It also has a dual-LED real tone flash and a 5-megapixel camera on the front. The f/2.0-aperture Toshiba lens manages to focus the subject in a snap and delivers shots with excellent detail, saturation and contrast levels in day-light conditions. The combination of the excellent hardware and software truly delivers the best in class camera solutions. To provide better sound output, the speakers of ZenFone 2 Laser are constructed with five layers of magnets in a large chamber so the bass sound is much better than the traditional 1 or 3 magnet speaker. In general, the sound is crystal clear with 41% increase in louder volume, lower frequency extended by 14% and distortion frequency improved by 12%. 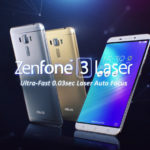 “While just being one of the newest offerings in our continuously growing smartphone product line, the ASUS ZenFone 2 Laser 5.0 has already widely earned the public’s attention due to its unprecedented performance and functions. Among which, users have raved about its extraordinary photography features and audio capabilities, its impressive battery life (up to 13 hours), and its top-of-the-line cover glass protection. With these many innovations in place, it is undeniable that the ZenFone 2 Laser 5.0 has greatly advanced the smartphone user experience function.” shares ASUS Philippines Marketing Manager Jamie Zaldivar. ZenFone 2 Laser is now available in all authorized re-sellers nationwide for as low as P7,295 (ZE500KL) and P8,695 (ZE550KL). Like the Asus PH Facebook page and follow Asus PH on Twitter to find out more about their products.